For several decades, the home improvement professionals at 31-W Insulation have been serving homeowners in the Southeast, the Midwest, and even as far west as Texas. We’ve made a name for ourselves by providing top-notch products and services, and customer care that is simply second to none. Our commitment to going above and beyond for those we serve has garnered us significant industry praise and a solid A+ rating from the Better Business Bureau. If you need a new garage door for your home in the Franklin, Indiana, area, you can turn with confidence to our skilled garage door installers to treat your home with the utmost care and respect from start to finish. 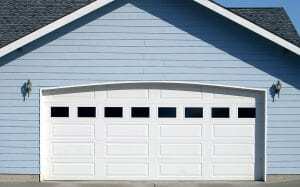 The garage doors that we sell and install are made by industry-leading manufacturer Amarr® and are among the most beautiful and skillfully crafted products on the market. Constructed from low-maintenance, heavy-duty steel or aluminum, these doors are built to stand up to daily wear and tear and tough weather conditions such as snow, hail, and ice, and still deliver many years of top-rate performance. What’s more, our garage door installers are all highly trained, company-employed technicians, all of whom are qualified to install these garage doors with the utmost expertise. So, when you partner with us, you can be confident that we will get the job done right the first time and will not consider it finished until you are totally satisfied with your new garage door. If you live in the Franklin, Indiana, area, and want to learn more about the garage doors that we install, or what sets our garage door installers apart from others in the area, contact 31-W Insulation today. We would be happy to answer any questions you may have.